Science and common sense say a sunrise sweat session is good for you. We think about it. And maybe even set the alarm with the expectation of a sunrise run, but most of us don't exercise early, despite our best intentions. Yet the 69 percent of exercisers who work out after noon might be missing out on some key benefits of moving in the morning. Exercise physiologists say any time of day is valuable for a workout as long as you do it, but the fact is, few do. Only one-fifth of Americans get the recommended amounts of aerobic and strength training, according to the Centers for Disease Control, although nearly half do at least 10 minutes of daily aerobic training. “The majority of people seem to work out later in the day because that’s when they think they have time,” says Dr. Marialice Kern, chair of the department of kinesiology at San Francisco State University (SFSU) and a morning exerciser. More of us waking up to work out might help move the numbers. There is no better way to start your day than knowing you have done something amazing for yourself. Rising with the sun requires a few tricks at first: fitness blogger Ashley Pitt, who teaches a 6 a.m. Bodypump class in Oakland, CA, suggests having workout buddies or a pre-paid class, putting your clothes out the night before and going to bed a bit earlier. If you are loathe to leave home in the wee hours, playing a (high-tech) game might help: Dr. Marialice Kern’s lab at SFSU has found players of virtual reality games, such as “Thrill of Fight” expend a ton of energy and push their oxygen use. Not a gamer? All you need is an online or DVD workout, an exercise bike or a treadmill at home. Use the early morning quiet to create a training plan that challenges you to go longer, harder or use more resistance every week. No matter what you do, here are nine reasons to kick-start an early morning routine, which can be “life-changing,” says Pitt. 1. Lose fat. Researchers in Japan have found that fat oxidation occurs if exercisers work out before breakfast. There’s only good to be said for fat oxidation, the process by which large lipid (i.e. fat) molecules break down, which, in addition to being the kind of weight loss most people want, may also reduce type 2 diabetes. One Belgian study found that eating a high-caloric diet had no effect on fasting exercisers but caused those who worked out after eating to gain weight (good news for those of us who like to have our cake and exercise too). Exercising before breakfast mimics the fasting state and can help kick start weight loss. If you have low blood sugar, eat a banana or a small energy bar 10-15 minutes before exercise. 2. Make (and keep) friends. Researchers at the University of Aberdeen in Scotland found that finding a new exercise companion increased the amount of exercise people did. And this amount increased even more when their workout buddy was emotionally supportive. What's the secret? “Peer pressure! My friends run before work,” says New York-based runner Laura Di Marino. For many, exercising with friends in the morning allows time to catch up, while joining a new workout group expands social circles. In New York, the local running teams are responsible for several marriages and children. 3. See more wildlife and nature. 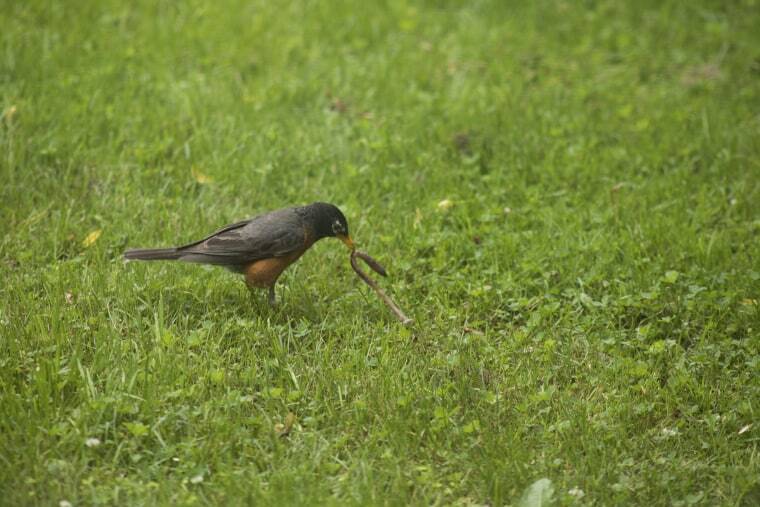 There’s a reason birdwatchers and fishermen get out early: Birds really are out there catching worms. Rabbits, raccoons, hawks, jays, cardinals, egrets and herons also are foraging in parks and streets at dawn. I’ve seen a red fox cross the street before an early morning 5k in Maplewood, NJ, and two sea otters surface next to a heron on an 8 a.m. vacation run in the Marin Headlands in California. 4. Best chance, first chance. If you have kids or other folks who depend on you throughout the day, morning is your best bet for doing something on your own. “Morning workouts tend to be completed by those who prefer to check exercise off their list for the day before the rest of the daily to-do’s, children's needs, busy gym or decrease in motivation hit them,” says Heather Milton, senior exercise physiologist at New York University’s performance lab. Many of the women we surveyed are busy parents. “When the kids were young, it was a nice, quiet thinking time before the chaos of the day,” said two-time Olympic trials marathoner Jennifer Latham of Grinnell, Iowa. “I can sneak out of my house and get in a workout before anyone else wakes up and misses me,” said Jennifer Lepori, from Ramsey, NJ. 5. Nicer, calmer, better. “I’m a much better mom, teacher, and wife when I get up first thing,” added Lepori. “Running early allows you to take care of yourself so you can then take care of everything else in a better state of mind and health,” said 2016 Paralympian Ivonne Mosquera-Schmidt. And science backs up that sentiment. Exercise releases endorphins, known as the feel-good hormones, and reduces stress and anxiety levels. 6. The Goldilocks effect. In the summer later outdoor workouts are too hot, or in the winter too dark, in much of the United States. Mornings are usually just right. Plus, as Latham points out, sunrise runs avoid the need to slather on all that extra sunscreen. 7. A good addiction. “It is a good way to get in a habit, because you always associate the workout with getting up,” says NYU’s Milton. And forming that habit doesn't take as long as you think. According to a published in the European Journal of Social Psychology, on average, it takes 2 months, or 66 days, for a habit to become automatic. 8. Instabragging rights. A sunrise is always magical so go ahead and snap that pic and tag that #beautifulsunrise or #morningworkout. Posting your workout pics may hold you accountable in the weeks ahead — and prove inspiring to your friends who double-tap in response. After all, no one will begrudge the brag. You did something great!